We thought we'd put all our cool offers on one page (so it doesn't get messy! ), so here they are! 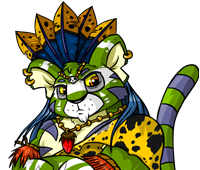 Remember by clicking on things and signing up you help keep Neopets free. Also, we've been having a spot of bother with Slorgs lately, so if you see any please click on them to scare them away! You may even win some Neopoints! THIS PAGE CONTAINS PAID ADVERTISEMENTS.